Earlier this month, a Canadian goose was spotted on a lake outside of Ontario in desperate need of assistance. The large bird had somehow survived an attempt on his life by a callous bow-hunter who shot him with an arrow, piercing his wing and leaving him to die a slow death. Knowing that intervention was required to save its life, two officers from the Department of Conservation set out to bring the goose to a wildlife clinic where he could be treated for his injuries. And to aid in the rescue, authorities enlisted the help of some unlikely allies: other hunters. Working together aboard boats on the lake where it had been seen, the officers and hunters were able to find and maneuver the goose close enough to the shoreline for it to be covered with a blanket, caged, and transported to vets to have the projectile removed. As it turns out, the arrow had actually pierced through his body, making the fact that he survived long enough to be rescued all the more astonishing -- perhaps even more so than those who aided in getting him help. "If I didn't get the help from the local hunters, we wouldn't have been able to capture it," conservation officer Kent Hodgin told the Toronto Sun. Officials say they are investigating who may have shot the bird. 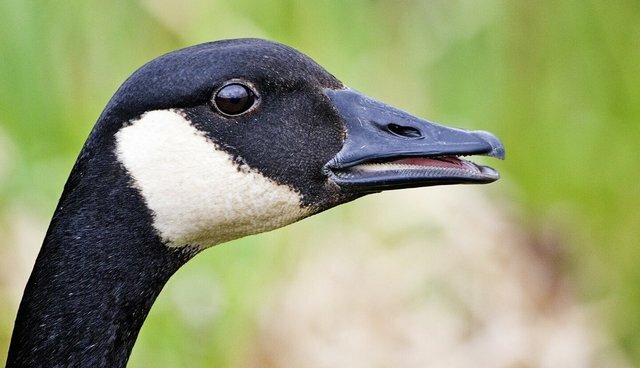 Canadian geese are protected under the Migratory Birds Convention Act.